Update Welcome Messages and Custom Links. Update School and District Scholarship Lists. Activate Naviance eDocs (early August) and choose whether to opt-in to the Common App Integration. Join the Counselor Community to engage in discussions with your peers. Get familiar with the new way of providing feedback called Naviance IDEAS. Update Common App Matching Tutorial link video. Remove language referencing Family Connection from home screen and other customized content. Share information with teachers regarding Teacher’s Desk enhancements (see Teachers section above for more resources). Update relevant surveys, staff access, and student group membership. Review and update RepVisits settings and availability for the new school year. To learn how to perform the above tasks, please see this presentation in the Help Library for more information. 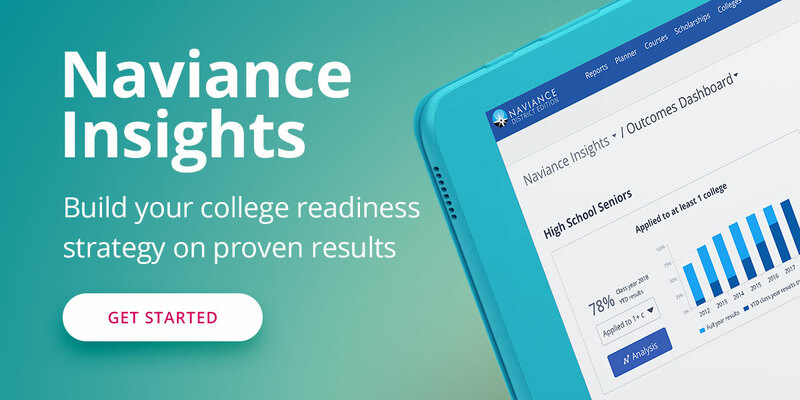 In addition, take advantage of RepVisits and Counselor Community to stay informed and connected with the Naviance Community and Higher Education admissions counselors.